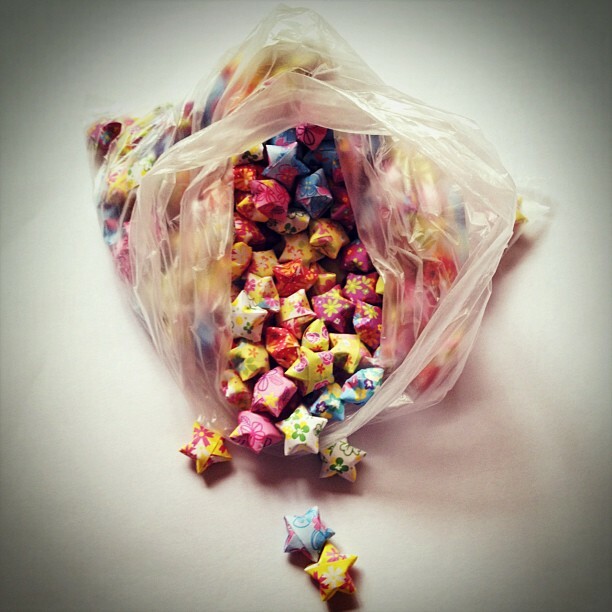 Don't these look like sweeties in a bag? are officially over... and of course I'm so disappointed. going to shops and not having to stand in long queue. having unpredictable days where I just get up out of bed and go out. going to bed late and waking up late. the sunshine that we have had as its one of the things that depresses me about going to work, knowing that they days are going to get shorter, darker and wetter (even though this year it has rained plenty). crafted, wrote letters and read quite a lot of books this week even though I haven't blogged. found a love for Spanish food even my husband was willing to try it. The saddest thing of all to happen though is my uncle ended up in hospital 6 weeks ago and died on the 1st September, my husband, auntie and many other relatives have gone to Pakistan today to bury him there. Its such a huge loss for my auntie, their children and grandchildren... it makes it even worse to think that with in the last 9 years they have lost a son-in-law, daughter-in-law and now one half of a great couple. RIP. Now I need to focus my mind on going back to work tomorrow. Thinking about my maths test which I was doing well practising for but ended up not doing half of what I needed to. I'll have to have a great binge tomorrow for Tuesday. Also to prepare myself for the cold weather coming up... I love all the seasons, colours etc... but winterish weather just seems to last too long or so it feels anyway. It definately is even though you know they won't be lasting forever. Holidays ending=boo. Mine were up in mid-August and I miss them already!!! Oh, letter went out to you at the end of last week, so hopefully it won't take ages to reach you. I still can't believe it even though the person is old but it feels like it all happened so quick. Those deaths are just within their family but of course in that time frame my auntie has lost 2 brothers and a mum too. It would just be nice to have a year where you lose no family member at all. I also can't believe my holidays have ended either, 6 weeks seems like such a long time but they soon fly by but I guess I didn't and couldn't appreciate the time properly because of fasting. I'll have to wait 7.5 weeks for the next one. It does look lovely but I didn't end up sending it like that. I love the idea of having them hung along a mirror :). I remember you mentioned it about your sisters wedding and I think its just a great and fun idea even if it is a pain to make them. I can't wait to receive it as I haven't done yet.